Triangle Plus Series with Circles and/or Dots. 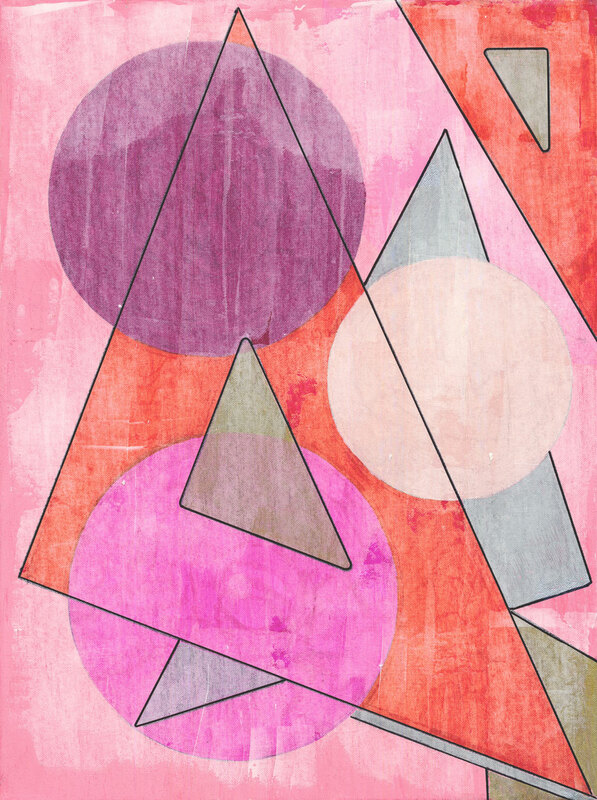 Three Triangles and Three Circles on Red/Pink Background. Acrylic markers with light spackle overlay on canvas board.